I am disappointed that President Obama allowed sequester cuts to take effect. His decision places partisan politics above the best interests of the American people. The cuts are regrettable, but were avoidable. 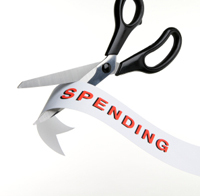 House Republicans twice passed legislation that would have avoided sequestration cuts. The Senate has not passed a single bill to avoid the cuts. And despite the fact that the sequester was the President’s idea, he hasn’t proposed any specific spending cuts to help avert sequestration. Instead, the President demands more tax hikes to continue funding his Administration’s spending spree. But the problem isn’t that Americans are paying too little in taxes, it’s that the government spends too much. President Obama campaigned on a promise that he would cut the deficit in half. Instead, he has doubled it. The federal government now borrows 40 cents on every dollar it spends. No family, no community, no country can sustain that kind of excessive spending. It is the road to bankruptcy. Sequestration is a symptom of a much larger problem – out of control government spending that threatens to bankrupt America. More tax hikes are not the solution. Only serious spending cuts that reduce the national debt will help save our nation’s fiscal future. Dr. Obama knows that a cut on my body that I could tolerate without me going to see him is a tiny little paper-cut. But, I say, what the heck, I guess I need Dr. Obama to treat my paper-cut, so I go see him and he tells me that he wants to do. Dr. Obama wants to amputate my arm for no reason. But he can make more money that way. Now, he is in charge of my condition and the only way I can stop him from cutting my arm off is to agree to give him MORE MONEY--THE BLOOD HE MUST HAVE TO SURVIVE. A few days into the sequestration, we realize that we have the Chief Addict in charge of the drug rehabilitation clinic. By the way, even before I go see Dr. Obama, the Media has already reported that my arm has been amputated and that I am bleeding so bad that I will die. That is funny, I say, as I look at my paper-cut again.